Today we received fantastic news that our project entitled “CPS/IoT Ecosystem” has been accepted for funding from the Federal Ministry for Science, Research and Economy. The project aims to setup a cyber-physical system with roughly 5000 sensor nodes at three main locations in and around Vienna. In addition to local communication capabilities, we also plan to introduce real-time communication networks and cloud services to this system. This allows us to work on current and future challenges in CPS. The CPS/IoT Ecosystem project has a budget of 3.6 Million Euro and is a collaboration effort between the Vienna University of Technology, Institute of Science and Technology, the Austrian Institute of Technology, and TTTech. Ramin Hasani, Radu Grosu, and I wrote an extended abstract on our work modelling the nervous system of Caenorhabditis elegans, potential application of artificial neural circuits and extracting prospective learning techniques based on the behaviour of this little worm. We have been invited to submit an article for the journal Elektrotechnik und Informationstechnik (e&i). The article has been written in collaboration with Prof. Radu Grosu and is entitled Cyber-Physical Systems: Challenge of the 21st Century should be published soon. Cyber-physical systems and the Internet-of-Things will be omnipresent in the near future. These systems will be tightly integrated in and interacting with our environment to support us in our daily tasks and in achieving our personal goals. However, to achieve this vision, we have to tackle various challenges. For the last one and a half years I contributed and worked on one of the first books on self-aware computing systems. And it has finally been released! 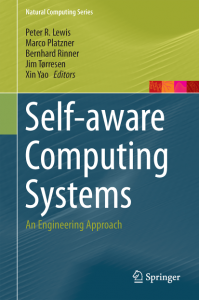 The book, entitled Self-aware Computing Systems – An Engineering Approach, discusses self-awaren computing systems from an engineering perspective and covers the work of the European FP7 project ‘EPiCS – Engineering Proprioception in Computing Systems’. I contributed to several chapters throughout this book. Thank you and congratulations to every single person helping to make this book! Taking inspiration from self-awareness in humans, this book introduces the new notion of computational self-awareness as a fundamental concept for designing and operating computing systems. The basic ability of such self-aware computing systems is to collect information about their state and progress, learning and maintaining models containing knowledge that enables them to reason about theirbehaviour. Self-aware computing systems will have the ability to utilise this knowledge to effectively and autonomously adapt and explain their behaviour, in changing conditions. This book addresses these fundamental concepts from an engineering perspective, aiming at developing primitives for building systems and applications. It will be of value to researchers, professionals and graduate students in computer science and engineering. 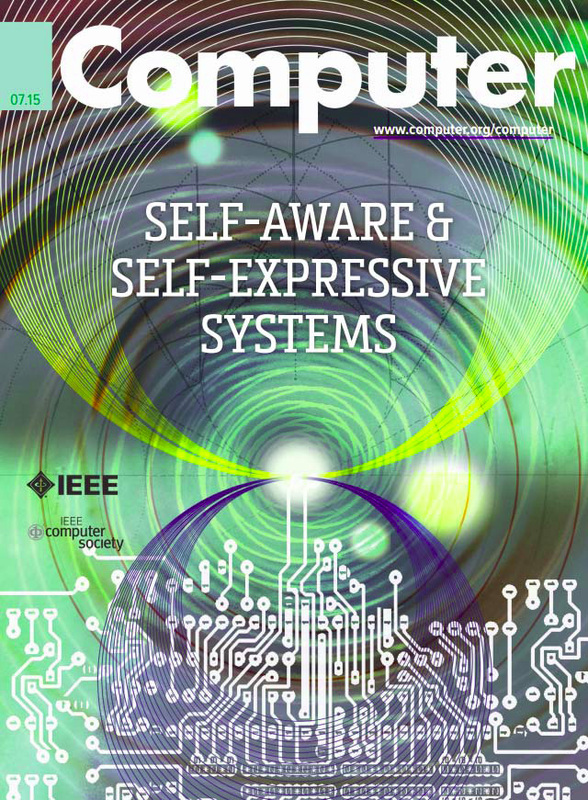 Yesterday evening we received the acceptance notification from the guest-editors for an upcoming special issue on Self-aware & Self-expressive Computing Systems for the IEEE Computer Magazine. The paper entitled Self-aware and Self-expressive Camera Networks. The special issue by the guest editors Jim Tørresen (University of Oslo), Christain Plessl (University of Paderborn), and Xin Yao (The University of Birmingham) is expected to be published in July 2015. Last Tuesday was quite a good day for getting papers accepted. After a very long endeavor we finally received the acceptance notification for our submission to the special issue called ‘SASO 2013: Selected, Revised and Extended Best Papers’ in the ACM Transactions on Autonomous and Adaptive Systems. The paper is called Static, Dynamic and Adaptive Heterogeneity in Distributed Smart Camera Networks. The guest editors of this special issue are Jeremy Pitt from the Imperial College, London in the UK and Tom Holvoet from the University of Leuven (KU Leuven) in Belgium. Furthermore we were happy to receive another acceptance notification for an article submitted to the IEEE Transactions on Circuits and Systems for Video Technology (TCSVT). The working title of this article is Dynamic Reconfiguration in Camera Networks: a short survey and will be available as a full featured article in an upcoming issue of the IEEE Transactions on Circuits and Systems for Video Techonolgy. A few weeks ago I participated in the Dagstuhl Seminar (http://www.dagstuhl.de/15041) on ‘Model-driven Algorithms and Architectures for Self-Aware Computing Systems’. Highly inspired I return to my office, looking forward to new interesting collaborations with people from all over the globe. Our demo has been accepted at the ACM/IEEE Internation Conference on Distributed Smart Cameras. The paper entitled Demonstrating Autonomous Handover in Heterogeneous Multi-camera Systems will be published in the official conference proceedings.